The microwave oven is sparking? Does it fail to heat up your food? Contact our appliance experts to sort out the problems. We are specialists in microwave troubleshooting and services. Our company provides quick microwave repair in Edison, New Jersey. Get in touch with our team regardless of the microwave problem. Whether it won’t heat up or latch, our pros will repair the appliance in no time. Relax knowing that our techs from Appliance Repair Edison are well-equipped and qualified to fix microwaves. 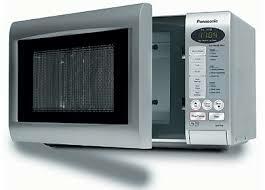 We are small appliance specialists and hence offer microwave repair services in Edison. These small ovens are some of the most used kitchen appliances. The new generation microwave ovens offer much more than just heating up leftovers. But their technology and their little buttons might be sensitive. 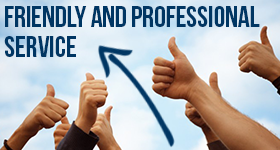 If there are any complications, give us a call. If you have trouble with a traditional microwave model, depend on our skills. Trained and experienced, our microwave service technicians can fix most models. New or old technologies, they are both convenient but microwave oven parts can still break down. They might also burn out. In such cases, we replace the damaged parts. Rest assured that our pros have an assortment of appliance parts in their trucks. We have everything we need to service your model whether it’s a counter top or over-the-range microwave. If you decide to get a new microwave, you can still turn to our company to install it. It’s important to know that the new built-in oven is properly installed and well secured. We take care of everything and can continue to service your microwave to prevent problems. When it comes to microwaves, we are the local experts in their services. From fixing sudden problems and replacing parts to installing built-in models and maintaining them, choose us for all services. We have the experience, qualifications, and skills to cover all Edison microwave repair needs to the full satisfaction of each and every customer. Need microwave oven service? Just give us a call today.